The Brownie Target Six-16 was introduced in 1946 and was discontinued fifteen years later. It was originally priced at $4. Nowadays, one could get an acceptably functional one between $30 to $80. I say "acceptably functional" because one could never really get a shot that would be comparable even to today's cheapest camera available. I'm not sure where I got mine. I'm sure somebody must have given it to me. I have a few more Brownies, which kind people gave to me and which I also plan to pay tribute to later on. I have not much use for them. 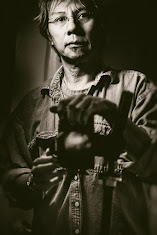 The camera uses a film size 616, which is almost impossible to get hold of as Kodak discontinued its manufacture in 1984. Maybe Kodak thought that 1984 would turn the States into the dystopian era similar to George Orwell's 1984 novel. 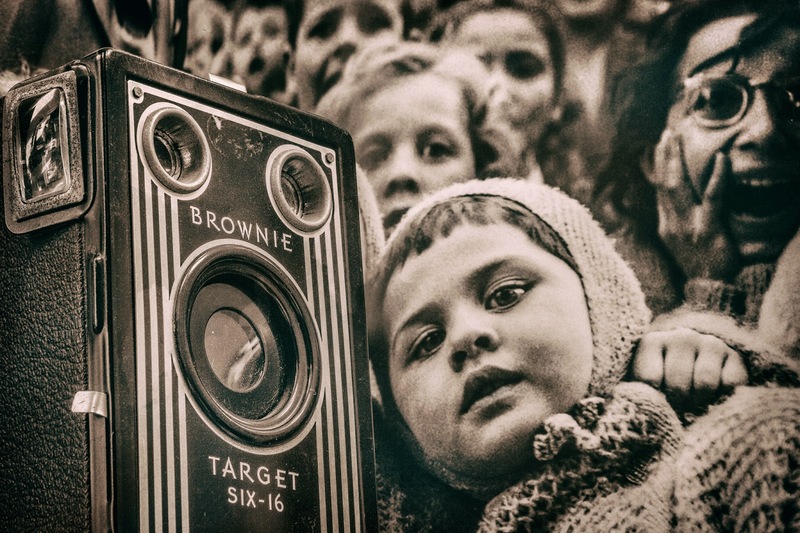 Although the Brownie is in a different era as Alfred Eisenstaedt's photo of Children at the Puppet Theater (shot in 1963), the nostalgic feel of the photo and of that of the camera go well together in my opinion. I must be post-modern. Because I don't have much regard to historical accuracy when it suits me. Eisenstaedt's photo captures the children's excitement as they watched a puppet show. The Brownie captures the same excitement for amateur photographers who could take pictures without pawning the family heirloom. I love it that the little girl is leaning towards the camera and looking at Eisenstaedt. Everyone else is engrossed at the puppet show. Come to think of it, the image reminds me of Orwell's 1984 for some reason.